I had a lot of question in my mind regarding this sudden-terrible skin incident, like what's wrong with myself? Apparently skin problems could arise from weather, pollution, food intake, stress, and many more. 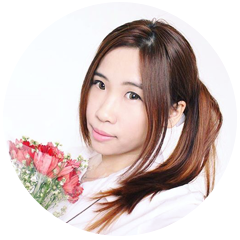 One of the most common of unhealthy skin problem is dehydrated skin. I did a mini hydration test on my palm and found out that my moisture level is as low as 29.3%. 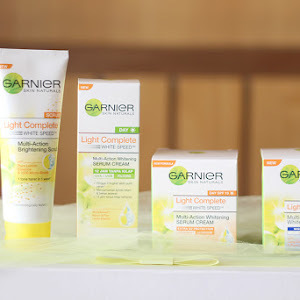 I rarely have issues with dry or dehydrated skin but I think that my skin is dehydrated since I couldn't use any skincare products so one thing for sure is to find the right treatment for my skin. 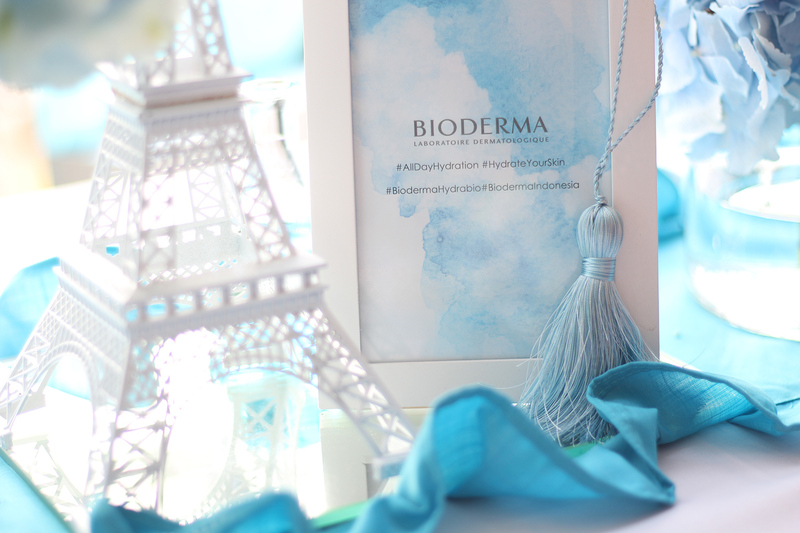 Bioderma was derived from the word biology and dermatology which explains their philosophy, Biology at the service of Dermatology. 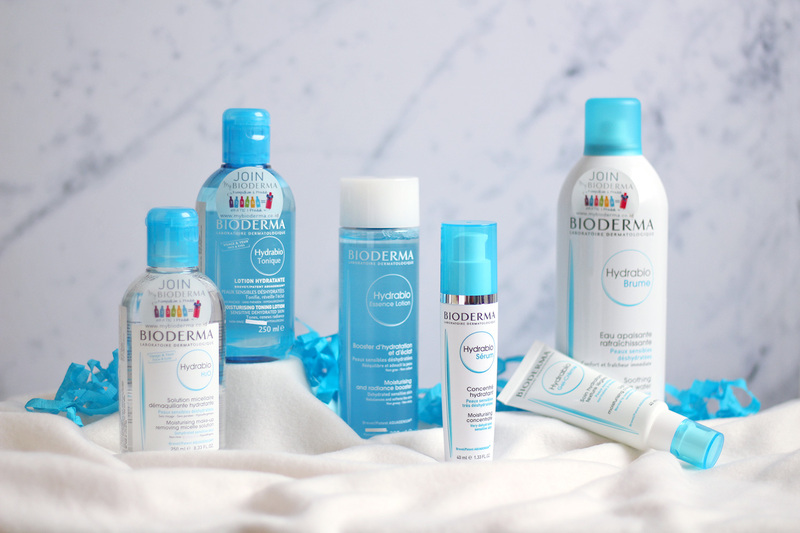 Inspired by the skin itself, Bioderma discovers the solutions to maintain healthy and beautiful skin with lasting results, including eliminates all the harmful ingredients. 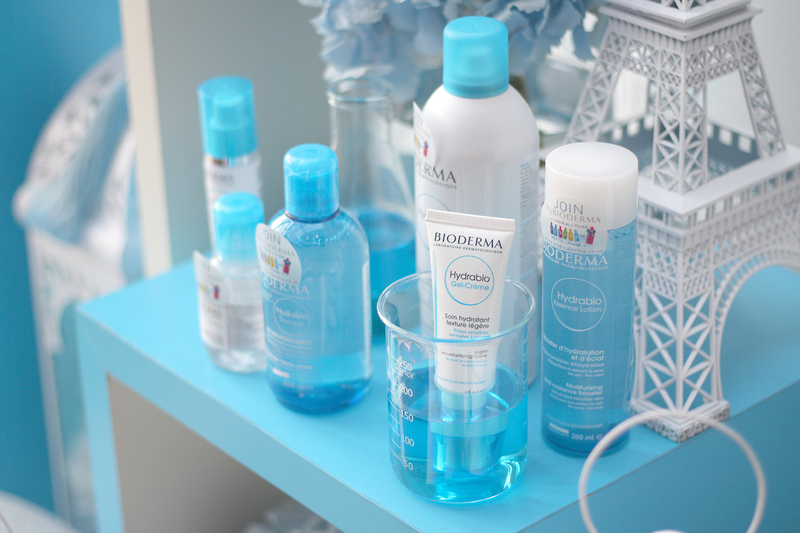 Bioderma also has a wide range of product to meet your skin needs. 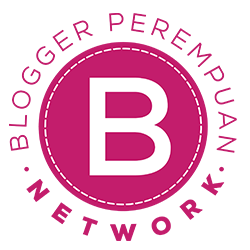 In Indonesia, there are currently five product range which are Sensibio (for sensitive skin), Sebium (for oily skin), Hydrabio (for dry skin), Atoderm (for dry skin), and Photoderm (for skin and sun protection). Each range has different steps or regime. 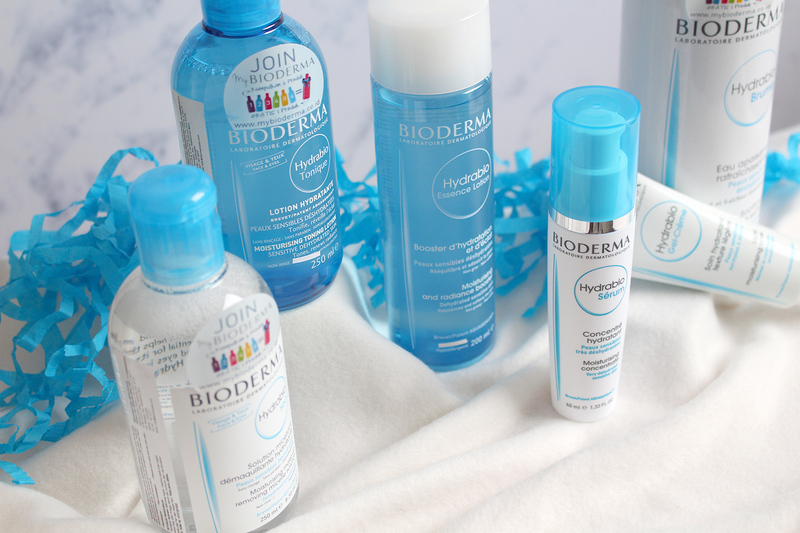 As for Bioderma Hydrabio, it relies on the step ICLEANSE, ITREAT, and IPROTECT. 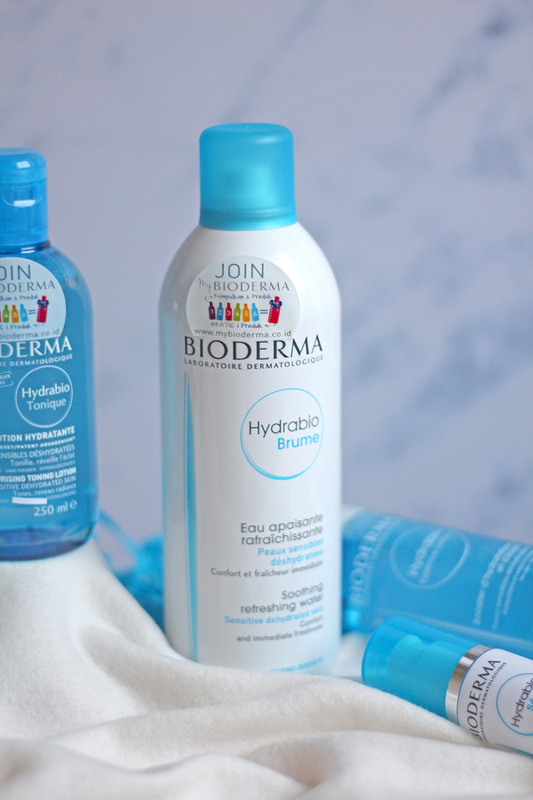 Last month, Bioderma introduced two newcomers in Hydrabio series, Essence Lotion and Gel-Crème. Both of them were classified into the step ITREAT. 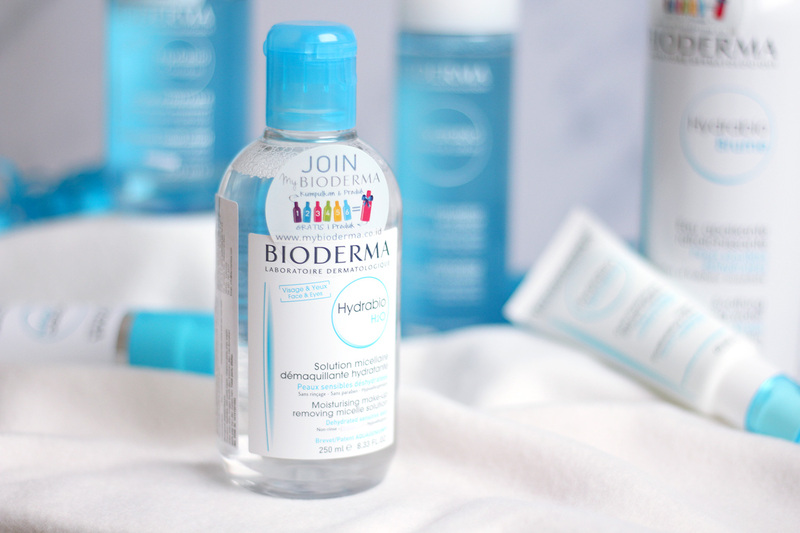 I'd been using the whole range of Bioderma Hydrabio for more than 3 week so let's jump right into the review. The first and the only step in ICLEANSE regime. 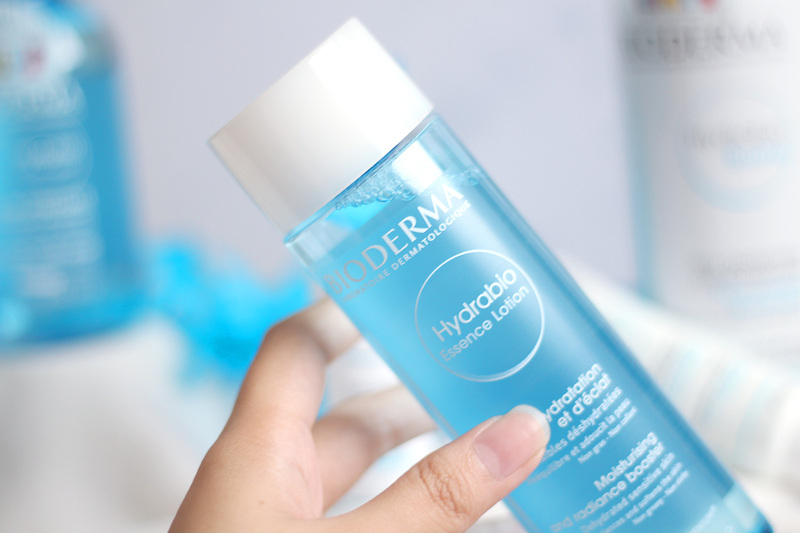 I could say this this Hydrabio version of micellar water and I find the formulation is pretty similar with Sensibio that I'd tried before but now with more hydration. You only need to soak in a cotton pad to remove makeup or any dirt residues. It removes my stubborn makeup with ease and feels really gentle on skin. Cleansing without stripping off moisture from your skin. The first step from ITREAT regime. This toner comes in the same exact H2O bottle in blue color. You can easily tell the difference so no worries grabbing the wrong products. 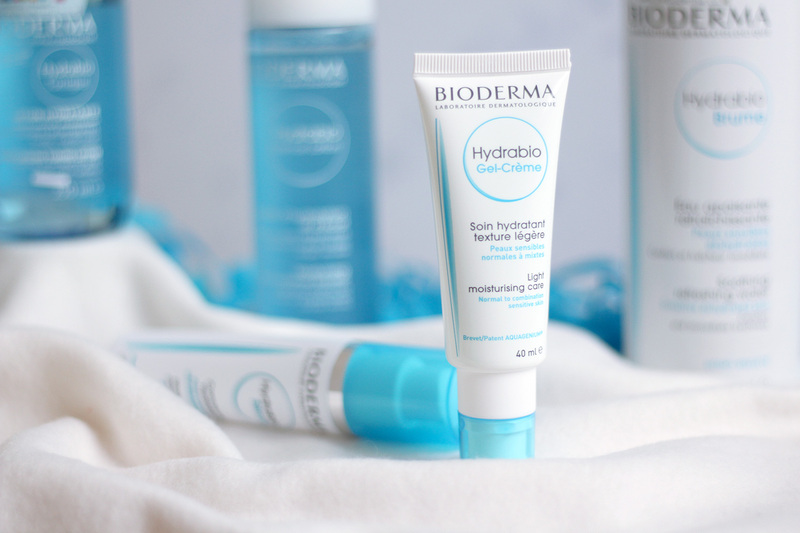 Hydrabio Tonique contains Aquagenium™, a biological patent ingredients that retrains the skin to activate its natural moisturising capacities by stimulating the production water channels in the skin and retain the water it needs to be balanced. Soak a cotton pant and gently wipe on your face. I usually use it in the morning to remove excess oil, leaving my skin feels more refreshed and hydrated. The second step from ITREAT regime and the newcomers. 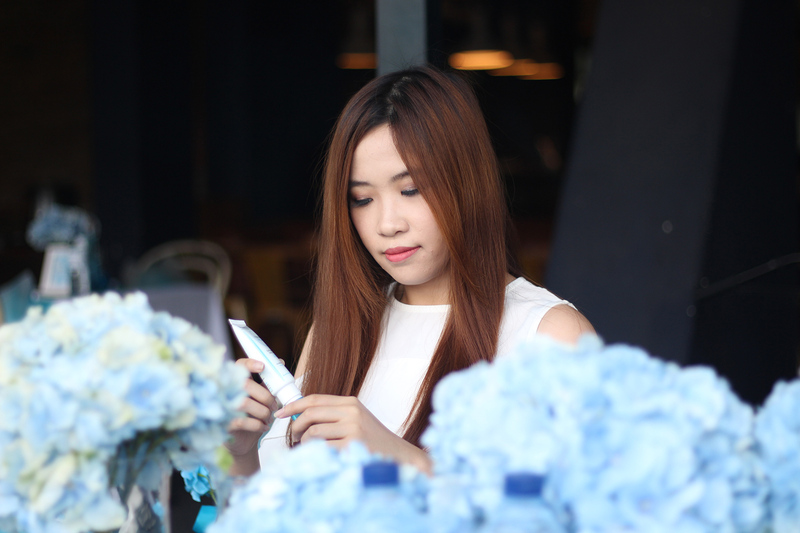 Hydrabio Essence Lotion comes in a taller blue colored bottle and sealed to ensure its hygiene. 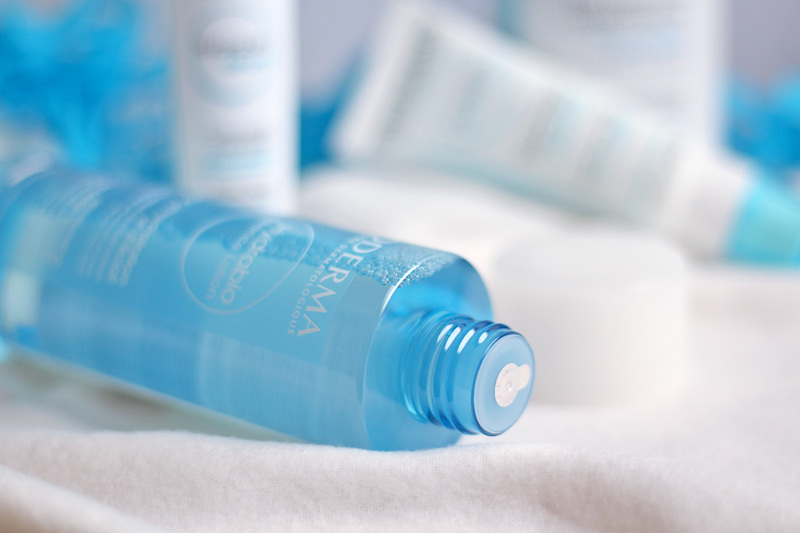 It also contains Aquagenium™to help our skin generate hydration by its own while smooths skins for a radiant complexion. I usually apply this lotion with my fingertips in patting motion but you can use a cotton pad instead. Another thing that I love from this toner is there aren't any sticky or wet feelings which you could find pretty common in most of hydrating toner. The third step from ITREAT regime and this is my most favorite product in Hydrabio series. 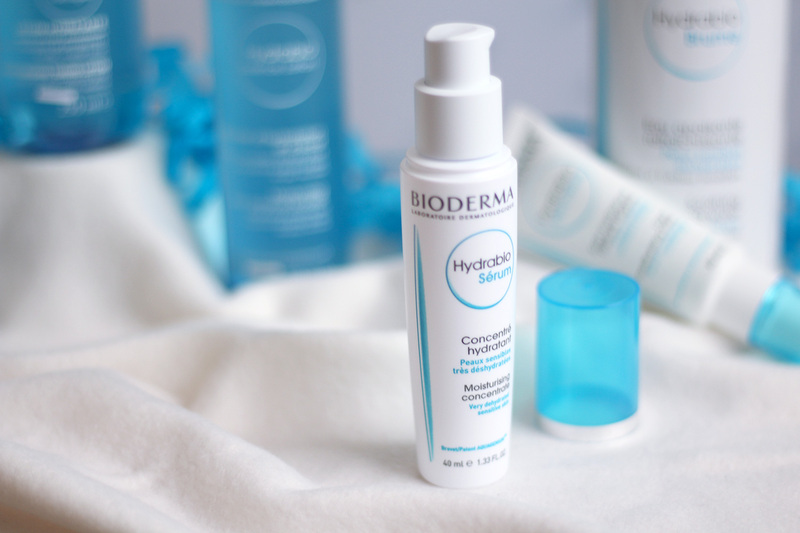 Hydrabio Serum comes in a regular bottle with a pump. 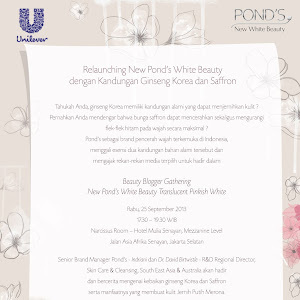 It has no color and the texture looks like a thick gel which immediately turns watery after getting in touch with skin. It feels really lightweight and very hydrating on skin without any residues after application. As someone with combination skin, most of hydrating skincare ended up too rich for my skin and usually will lead into breakouts. I feel like it locks in the moisture until the end of the day and no breakouts at all in my current sensitive skin condition. 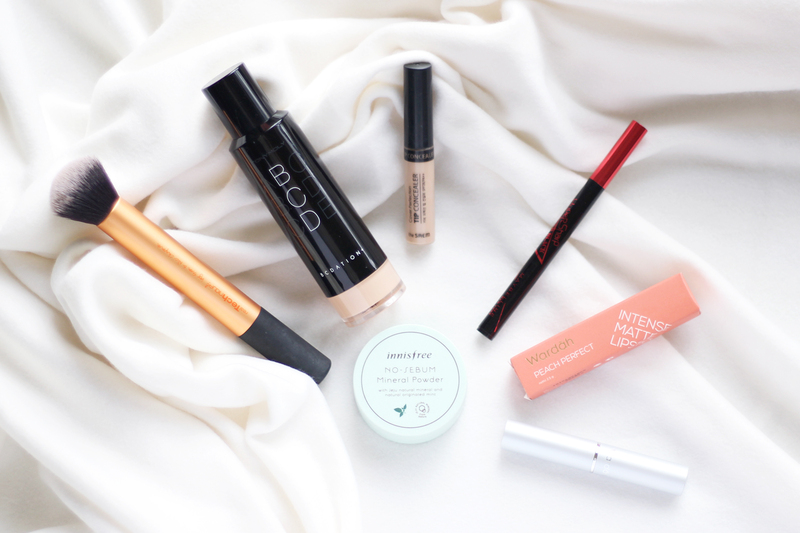 I only need a single pump for my entire face, use it every morning and night time routine. 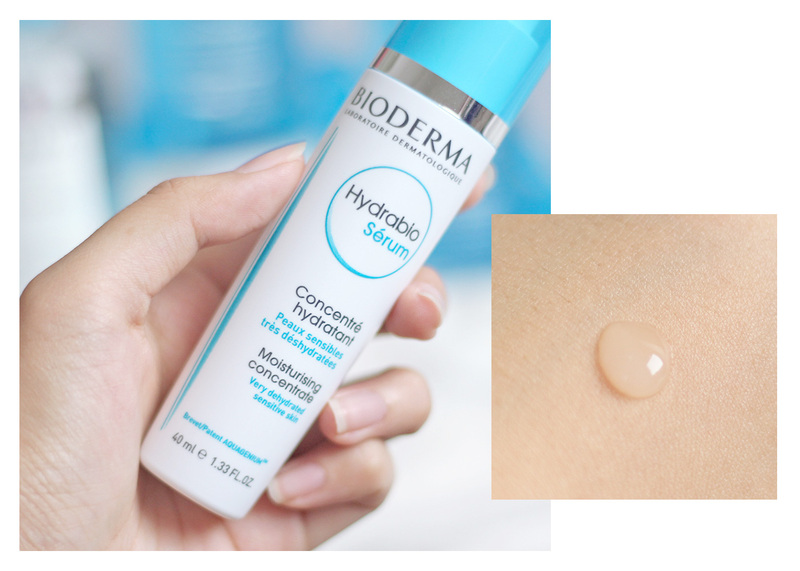 I am very impressed with this Hydrabio Serum. The fourth step from ITREAT regime and the next newcomers. Unlike the serum, this gel comes in a tube container with a pump at the bottom part. 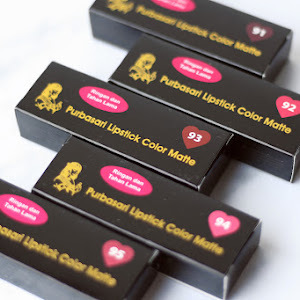 It has a milky white color and thicker consistency. 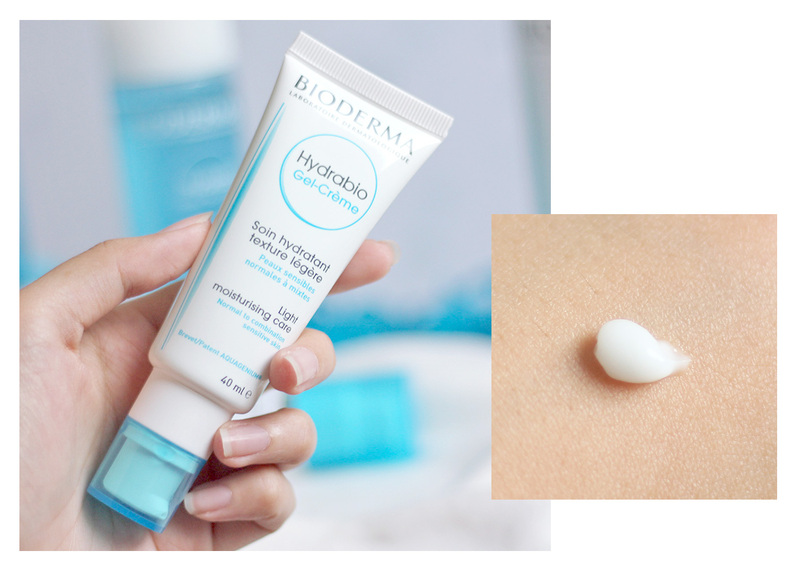 Hydrabio Gel Creme is more hydrating compared to the serum but using too much leaves a bit greasy feeling on me. I usually focused on the dry area that will need more hydration such as cheeks. The last step from ITREAT regime. I actually was not really into face mist or face spray since I used to think the purpose is to provide more hydration only. Again, there should always be a first time for everything. 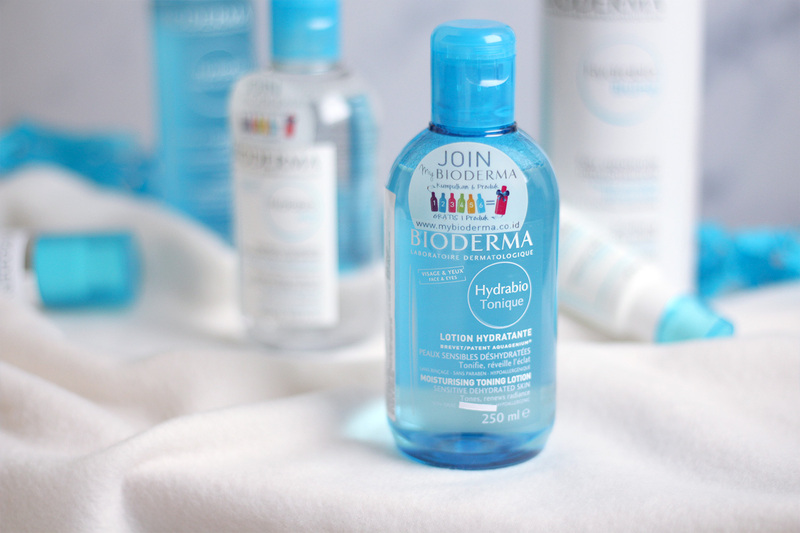 Hydrabio Brume contains a perfect balance of mineral salts and trace elements, making it the ideal ally for sensitive and dehydrated skin to combat various reactive signs. Now I love to use this spray to soothe my skin after mask and before bed time. 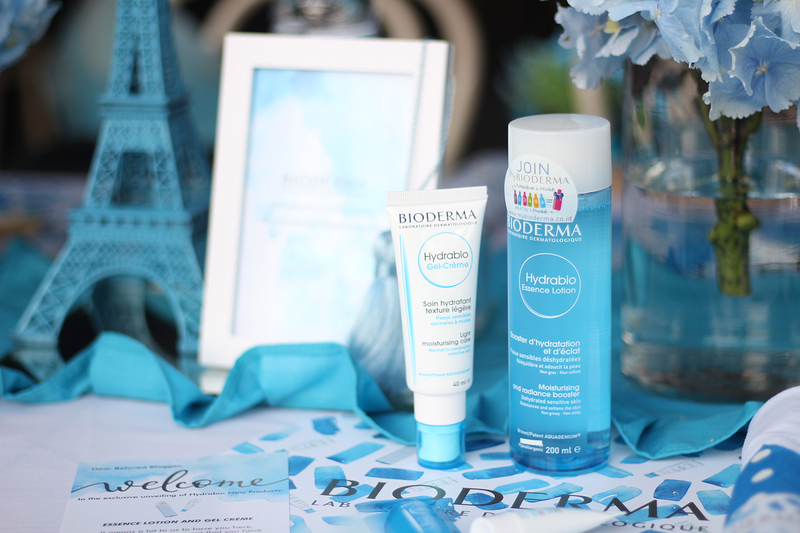 At the beginning I was a bit afraid to try any kind of skincare with hydration label as its main properties but I have to say that I am very impressed with Bioderma Hydrabio. 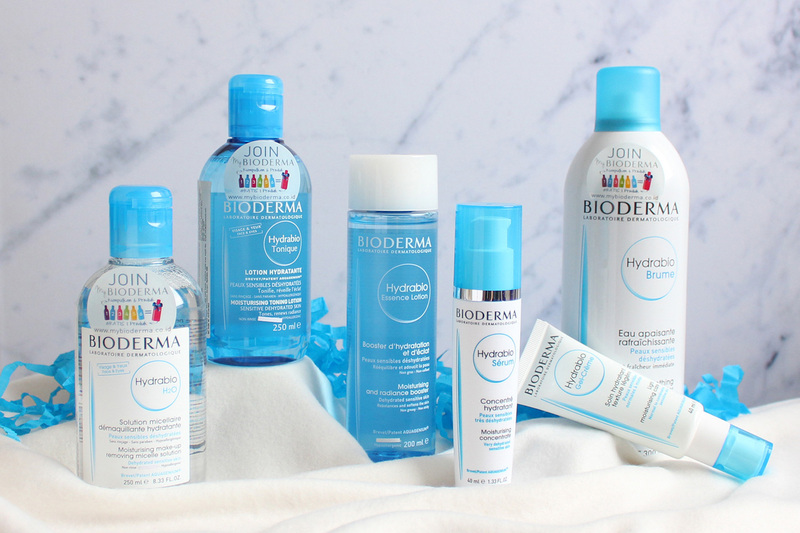 I never think that I would love a hydrating skincare so much. 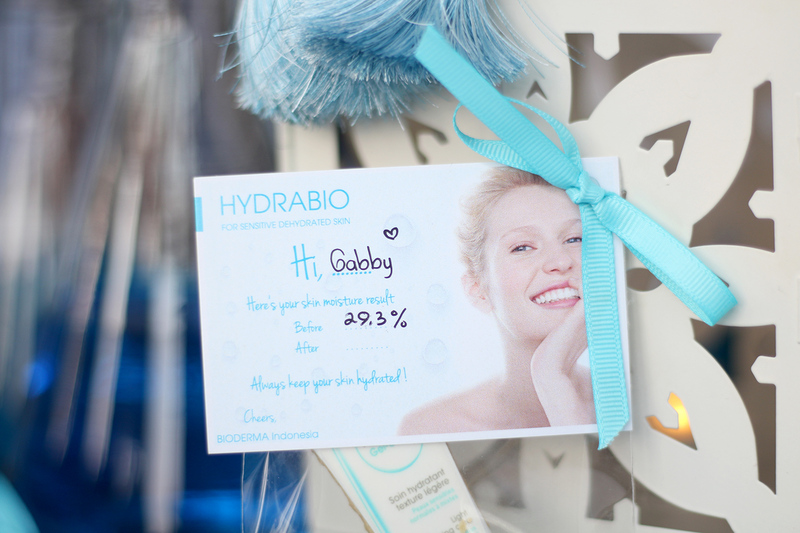 I could no longer leaving the house without having the Hydrabio Serum now. It is totally my new favorites and I can't stop touching my face now since my skin feels really bouncy. I would highly recommend this for those who have any problem with dehydrated skin. If your skin type is dry, then I think you'll have no problem with the whole step. If your skin type is oily or combination, I would say go for the Essence Lotion and Serum. 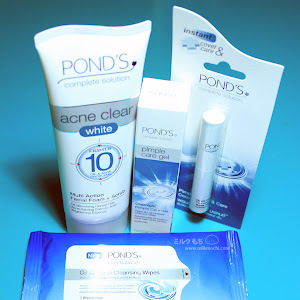 I also have sensitive skin, would like to try out this products some time!